Manchester United, in typical fashion, dominated the headlines in the 2018 summer transfer window, but for all the wrong reasons for a change. While they are typically linked with sensational moves for one talented footballer or the other, this past summer saw them sign just one player of note. Instead, the Red Devils spent a majority of the window trying their best to retain the services of their very own record signing. Paul Pogba was heavily touted to make a move to Barcelona, with several sources claiming that the 2018 World Cup-winner was all but set to depart from Manchester once again. However, the move eventually failed to materialise, with some reports citing the midfielder’s huge salary requirements as the prime reason, while others blaming his notorious representative, Mino Raiola, and his demands for a mammoth agent fee. But now, Mundo Deportivo have revealed the real reason behind Paul Pogba’s failed transfer to the Camp Nou outfit. As per Friday’s edition of the Spanish publication, it was Manchester United‘s decision to set their foot down and reject any and all offers made by Barcelona that led to the breaking down of this prospective switch. 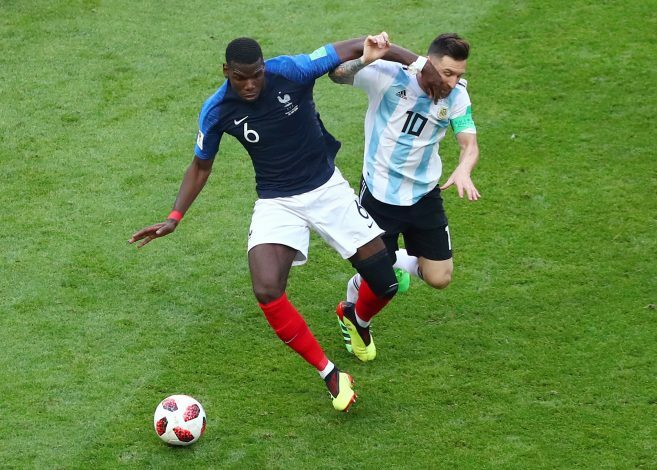 The La Liga juggernauts reportedly contacted United’s executive vice-chairman Ed Woodward to enquire about Pogba’s availability, amid claims that the 25-year-old himself was pushing for the transfer in order to fulfill his dream of playing alongside Lionel Messi. However, the Premier League giants’ owners, the Glazer Family, deemed Pogba as the Messi of Manchester United, thereby shutting down the exit door and rendering their youth academy graduate ‘untouchable’. The report adds that United continue to consider Pogba as one of the most important pieces of their project, irrespective of manager Jose Mourinho’s future at the helm of the club.